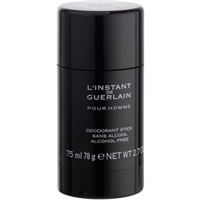 This Guerlain EDT has a wordly smell to it. I use it when reminiscing about trips and tours. Ladies just love it and I get really good comments. Honestly, women have approached me to say how much they love the smell. I use one spray (two at times) at the base of the neck so that some gets on my skin and some gets on the top of my shirt. If I use two sprays, I just do the same but one spray on each side. The most common thing I hear from women is: "You smell amazing -- what is it?" I usually just say it's my secret fragrance.